Planning this baby shower for my 4th child was bittersweet. This would be the very last baby shower to be held in my honor. 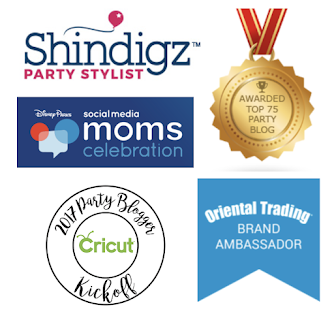 I carefully considered a theme, and quickly contacted the fabulous Angela from Brooklyn Design Studio. She makes all my invitations, and announcements. It’s rare when you can find a person that will get the design perfectly in one shot. 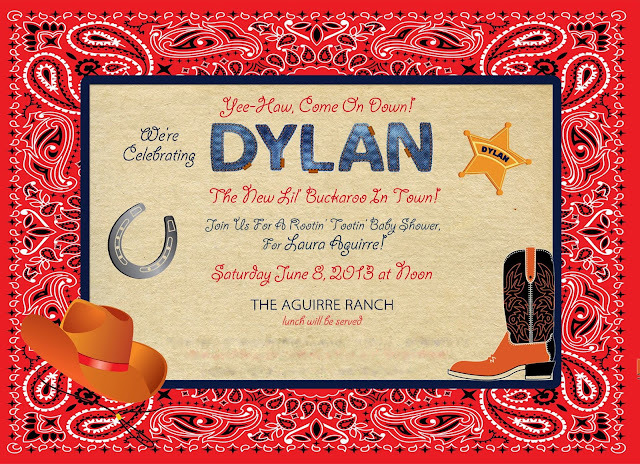 After the invitation details were set, I started collecting items for what would be a “lil’ buckaroo” themed celebration! I love to bargain hunt, so I was very pleased to find a lot of my items at discount prices. I refurbished furniture from my local goodwill, and even items from yard sales. 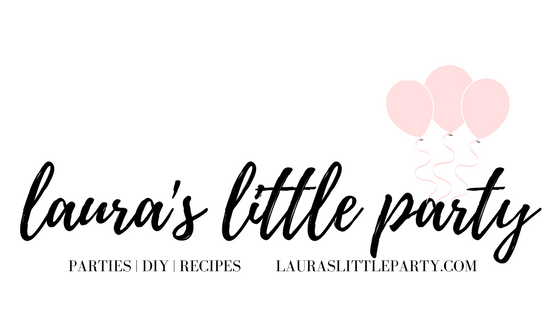 I’m a very hands-on party planner, so I was anxious to make some party decor of my own! I rented 8 bales of hay from my local feed store. They added the perfect amount of authenticity to my shower. My dessert station was displayed on an old-fashioned hutch that I found at a yard sale. I fell in love with the chicken wired windows on the cupboard doors. It was originally an unfinished wood grain that I quickly painted in a shade of red. 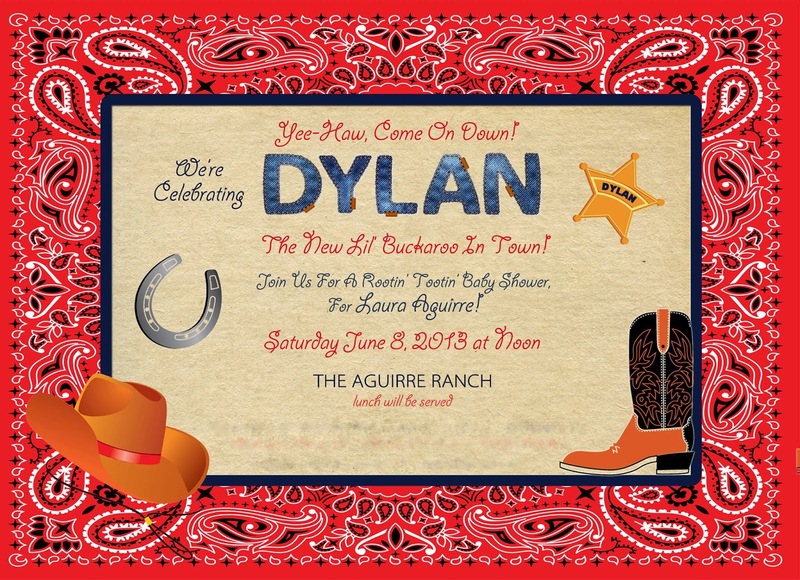 The transformation was perfect for the lil’ buckaroo themed shower! I added more porcelain dishes, old tin cans, and antique boxes. I found a mini wooden trough from HomeGoods, and knew it would work perfectly to display the darling horse cookies from Arlene at She Wears The Crown. I thought it would be a nice change of pace for my guests to enjoy cupcakes, instead of cake. 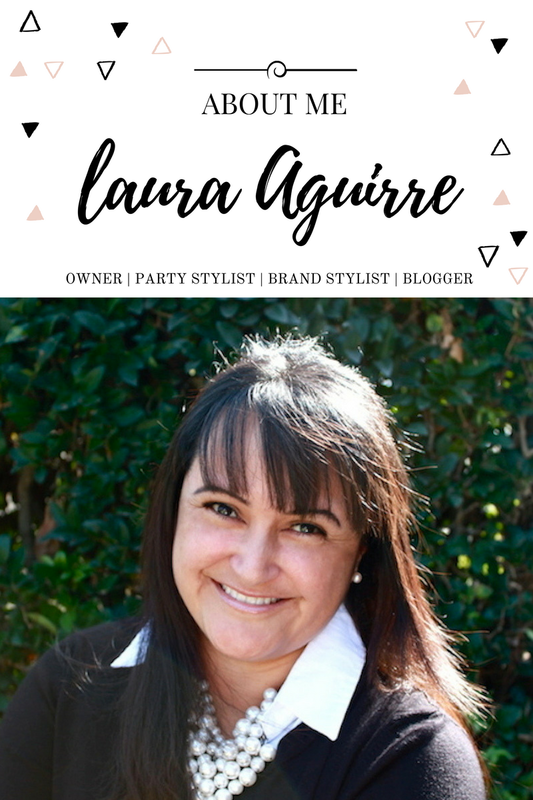 Blanca from Creativities Galore created some darling paper printables for the cupcakes. I displayed rock candy inside of a small Mason jar, as well as ropes of red licorice. She also provided rice krispie treats attached with little cowboy hats. I also set out some cookies inside of a hutch drawer, on top of krinkle paper. Other cupcakes had beautiful fondant toppers from She Wears The Crown. a sheriff's badge were perfect, and truly delicious! My drink station was set on top of an old wooden tool box, and bales of hay. The guests had their choice of bottled water, and Sarsaparilla. and the iced tea being dispensed from a large Mason jar. and a little cowboy themed embellishment. Everyone ate from real pie tins, along with wooden utensils that were wrapped inside real bandana napkins. The menu consisted of BBQ pulled pork sandwiches with rolls, baked beans, coleslaw, corn on the cob, macaroni & cheese, and fresh fruit. I loved the idea that all the food was served from antique porcelain dishes. It made everything look even more authentic for my western theme. I created a backdrop using a free wooden pallet that I picked up from work. I covered it with chicken wire, and spray painted a light coat of brown. I then attached paper fans, tissue fans, and a cute banner that I created from bandana printed material, burlap, and twine. The tables were covered with red, and blue bandana material. I added 2 small black lanterns as centerpieces. I found these at IKEA. I had fun decorating them with burlap, ribbon, and twine. Each plastic chair was decorated with strips of burlap. With clothespins, I attached adorable brown mustaches that Ana from Divine Functions created for me. It’s always a great time when your party has a photo booth, and fun props! set it out in front of bales of hay, and a red bandana backdrop. cowboy hats, guns, and bandanas. Here is a diaper cake that I made, especially for my theme. I used it as a centerpiece for the gift area. Everyone loved it! My guests went home with a miniature painted horseshoe. I attached a cute 'good luck' message to each one. the best baby shower I’ve ever had! delicious, home-cooked food by my Grandmother! There were so many personal touches that made my shower a very special one. family, and most-importantly, my other children. and I'm so grateful for all who came to help us celebrate baby #4.
and generosity from vendors, friends, and family. It was a perfect day, spent with family & friends. 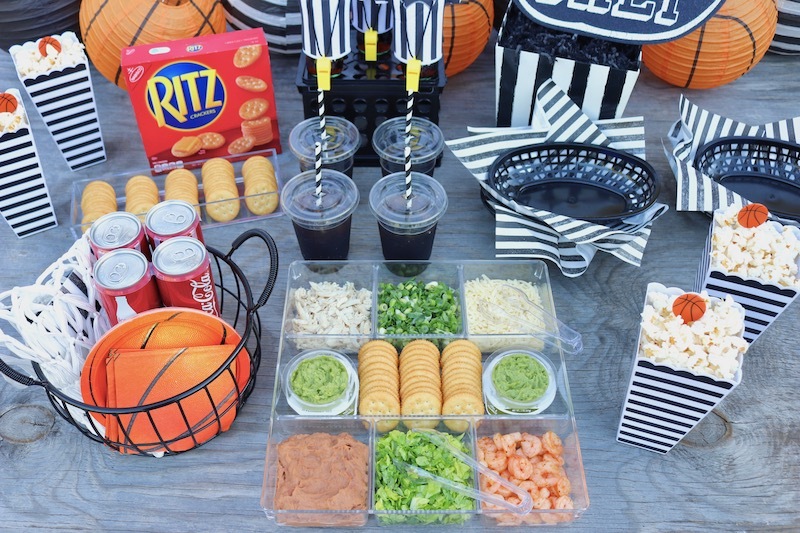 Such great party details...and the sweet treats and 'grub' all look delish!